Got plans for Friday afternoon? 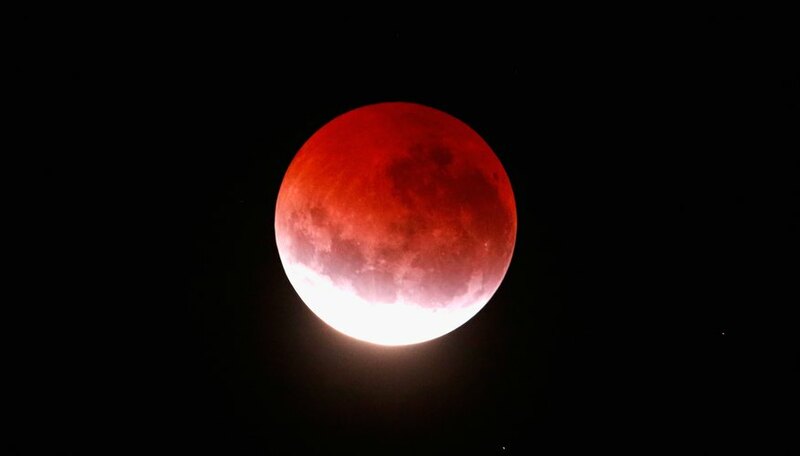 How about checking out a once-in-a-century lunar eclipse? Lunar eclipses occur when the angles of the sun, earth and moon line up, allowing the earth to block the sun’s rays before they can land on the moon’s surface. The sky won’t go totally dark, but the moon can take on a dark, almost otherworldly appearance. This week’s lunar eclipse is special, because not only is it a total eclipse, but it’s the longest one we’ll experience this century. Here’s what’ll happen – and how you can experience it yourself. 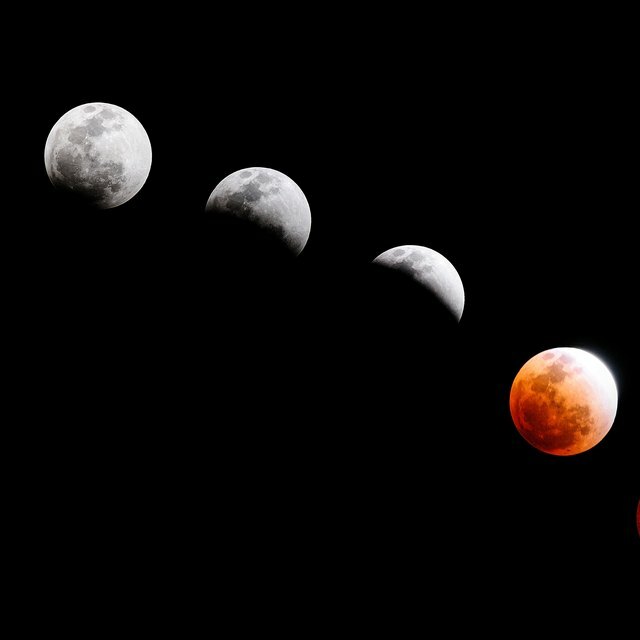 While lunar eclipses pop up with some regularity – we’re due to have them in 2019, 2021, 2023 and 2024 – the sun, earth and moon don’t often align for a lengthy full eclipse like the one that’ll happen this week. Partial eclipses can happen when the sun, earth and moon are at a range of angles that allow the earth to “block out” part of the moon. And even most full lunar eclipses, when they happen, are over quickly – the one that happened this January took just 76 minutes. This Friday’s eclipse happens when the sun, earth and moon are at an almost perfect angle for a full eclipse – creating the conditions for the longest eclipse this century. Instead of blocking the moon just momentarily, the eclipse will last 1 hour, 43 minutes, just shy of the theoretical limit of 1 hour, 47 minutes. If you’re lucky enough to see the eclipse at night, you’ll notice the moon takes on a red or rusty hue over the course of the eclipse. The effect is due to a phenomenon called Rayleigh’s scattering. The red hue comes from the long distance the light travels before it meets your eyes. Since the sun’s rays won’t hit the moon directly during the eclipse, you’ll instead see light waves that are reflected back from the earth. Over such a long distance (literally to the moon and back!) colors that have short wavelengths, like violet and blue hues, get scattered, leaving low-wavelength colors – like red – behind. This same scattering effect is the reason the sky turns a rainbow of colors during sunrise and sunset. The eclipse just turns the effect up a notch. Unfortunately for us, the eclipse will happen during the afternoon, with the first glimpses starting at 1:14 p.m. EST and the blood moon starting about three hours later. That means it will be too light out to see the effects of Rayleigh’s scattering – or the visual effect of the blood moon. Stargazers in India, the Middle East, and regions of Africa and Asia will get the best views of the eclipse. But if short-notice international travel isn’t in the cards, you’ll be able to watch it online. Check out NASA for a livestream, which should be up and running by Friday. And, just for laughs, check in on the “End of Days” conspiracy theories surrounding the eclipse. But don’t worry, you won’t have to wait long to see one in real life. North America will get its next visible eclipse January 20-21, 2019, and we’re perfectly located to see the whole thing. Start planning that eclipse party! Tremblay,, Sylvie. "Everything You Need to Know About This Week's Total Lunar Eclipse." Sciencing, https://sciencing.com/everything-you-need-to-know-about-this-weeks-total-lunar-eclipse-13714072.html. 24 July 2018.